Buttons was badly injured by porcupine quills, but is doing much better now thanks to all who helped. 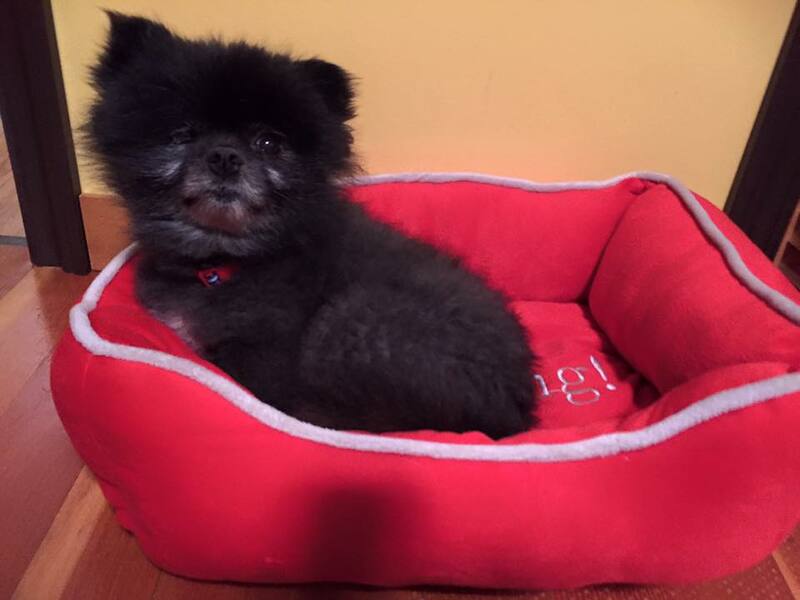 Remember little Button – the Pomeranian we helped a couple months back…? Little dude is finally on his way to a new home – where they are committed to making this boy healthy. His eye will be removed – he’ll be neutered and his teeth will be fixed. What a wonderful rescuer and foster he has had, Raven Rainbowheart. Thanks to the YARN Supporters who donated to have the porcupine quills removed in the beginning. Huge thank you to Pawsitively Purrfect for uncovering the handsomeness and quills that were hidden behind all those mats. He is certainly looking terrific! Ginger, AKA Macaroni from the Pasta litter, keeps her owners amused. We met little Ginger (AKA Macaroni) the first time we fostered puppies, four of the Pasta litter pups. They were all so lovely we decided to keep one. Now, six-months later, our wee little 5lb puppy is a 64lb ball of fun. Ginger has been a wonderful addition to our family. She is loyal, friendly, and has a great sense of humour. 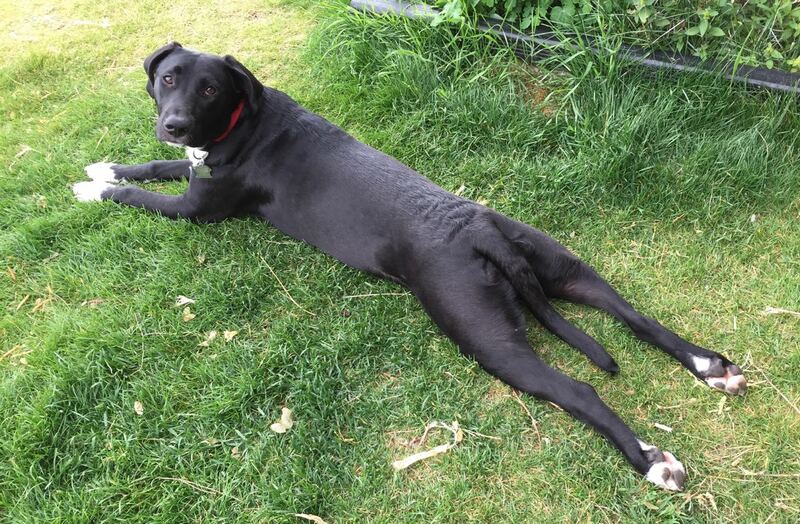 She always has a tail-wag and a nuzzle to greet, and her goofy antics are a source of constant amusement. What a total character she is! She’s wonderful with children, patient and playful. Just a joy to be around. Jagger a.k.a. “Sneezy” is from YARN’s “Dwarf Litter” early in 2015. 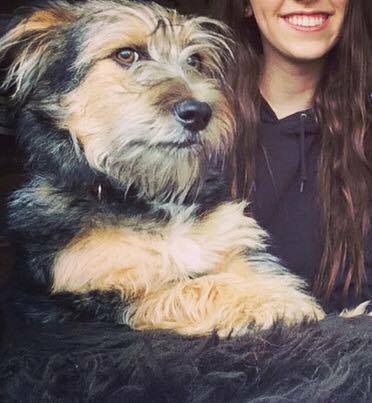 Jagger is very smart and can behave well (sometimes!). He loves running and playing with the two other dogs living with him. He is very friendly to any human and any dog he meets! He is a great swimmer and loves car rides. Jagger is really loved and always will be! 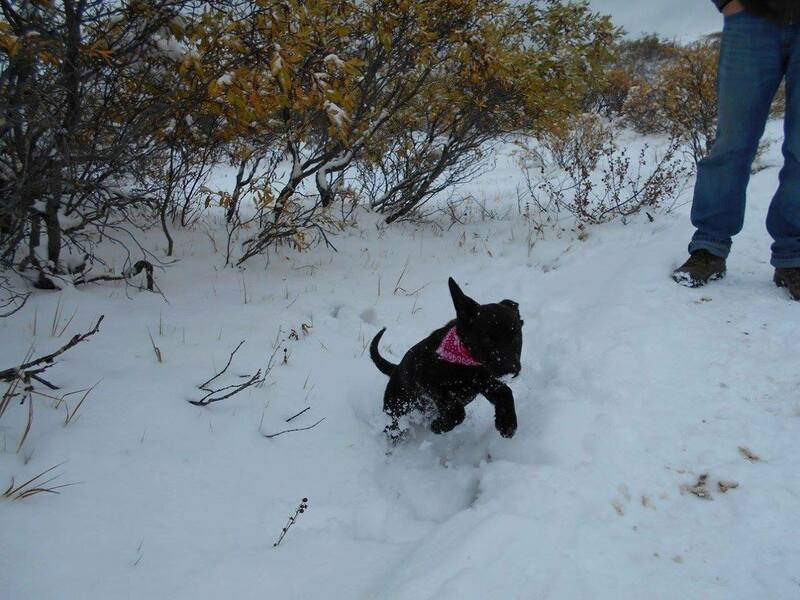 Bugaboo, AKA Nibbs from YARN’s Candy Litter, frolics in her first snow at Tombstone Mountains. Here is a photo of her trip to the Tombstone mountains last weekend and her very first snow! 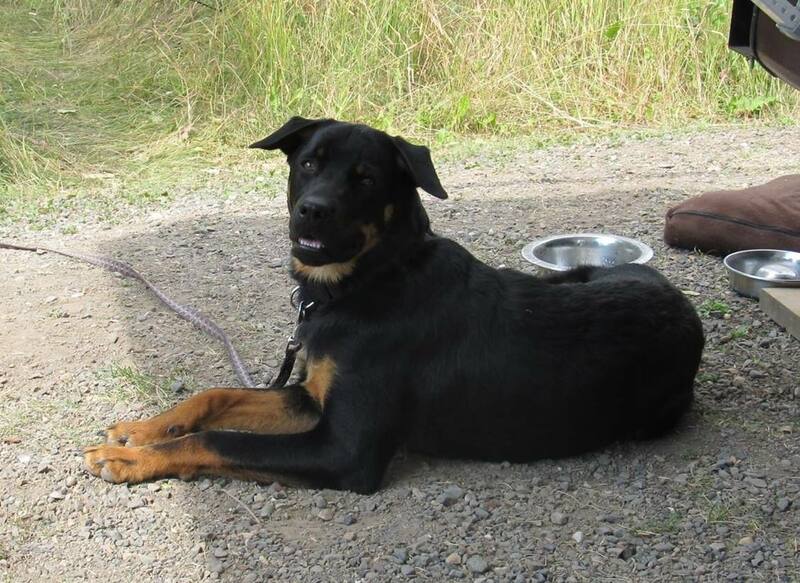 Porter (AKA”Woody”), from Gaga’s litter, loves camping and hiking in the lower mainland. Just wanted to give you an update on Porter (previously Woody). Citra, AKA Smartie from the Candy Litter, is wowing everyone with her big blue eyes! Hi YARN – Just an update on Citra (formerly, Smartie)… She is energetic, loving and learning so quickly! She loves to romp around the yard and play fetch with her toys. 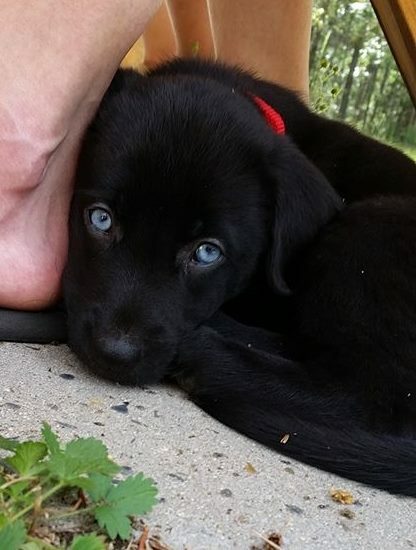 Her piercing blue eyes win over everyone who comes to meet her! 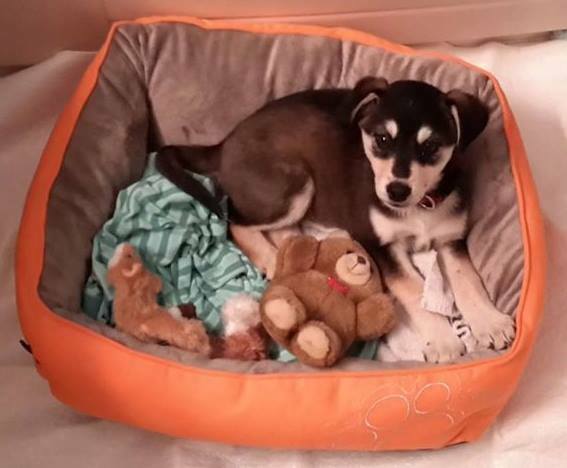 Our hearts are full of love for this little pup and she is a welcome addition to our Northern family! Gemma, AKA Sweet Tart from the Candy Litter, is bringing joy to her new owner. She is a little doll – A real Gem – hence her new name: Gemma… My last girl “Mag” suffered from many medical problems in her life… We dealt with it together, until she left to wait for me at the rainbow bridge. I’m certain my angel “Mag” is with us – smoothing the way and showing Gem the ropes… I have no other explanation for how easy everything has gone since Gem arrived… I miss my girl Mag every day, but I cannot impart to you the joy that little Gem has given me… She will get everything in this world from me… Thank you so for bringing us together. She has saved me… Thank you again. 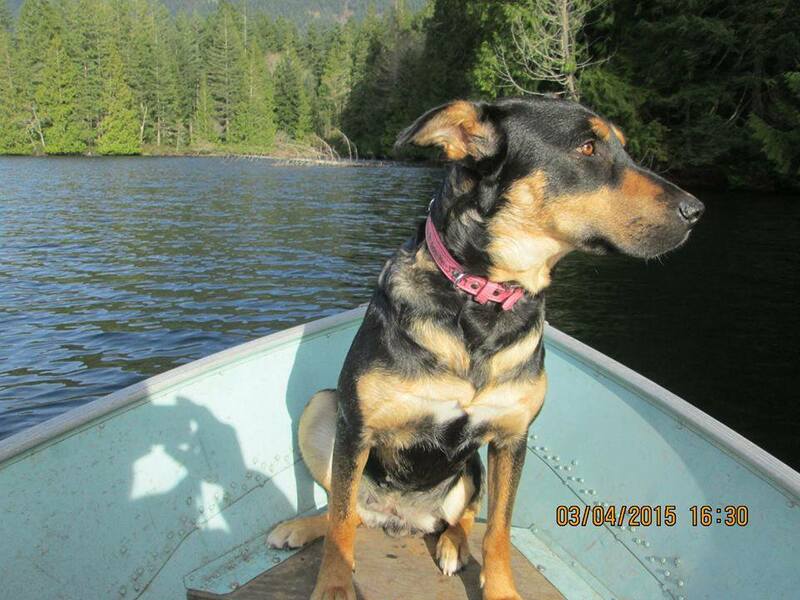 Stella, AKA Gaga, looks pretty comfortable in a boat. Just can’t tell you how much it does our heart good to see this girl outdoors and enjoying life with her fur-ever person… a life we dream of for all of our rescues. Roxy, AKA Miss Shenzy, has a sweet temperament. 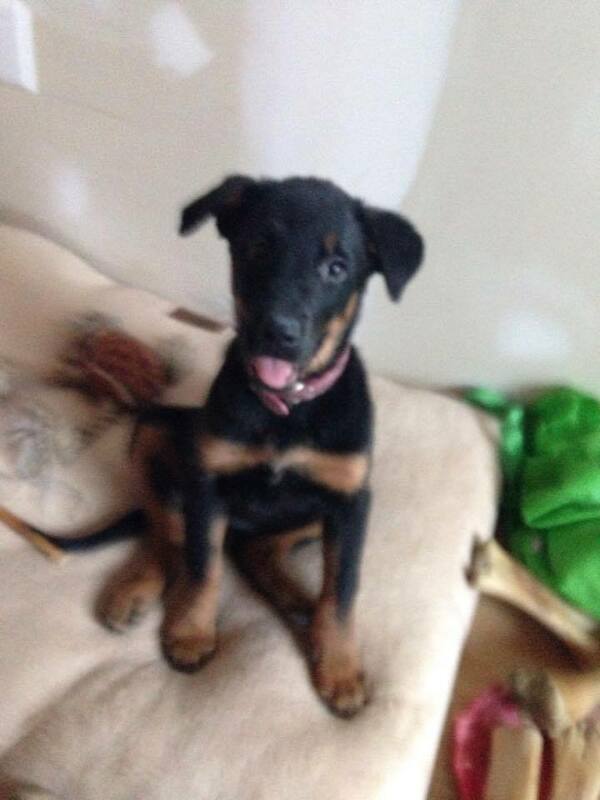 Roxy is named after the families old Rottenweiler Roscoe who passed a few years back. So far her personality is really shining through. She’s got such a sweet temperament. Not fearful or food aggressive or possessive of her things. Thank you YARN for helping her be such a bondable dog. No crying or worrying from her last night. She seems to have decided this is an ok fit for her. Now I have to figure out how much we need to puppy proof this house!